This Collapsible Dice Tower and Dice Box by Solid Factory is a great way to roll your next initiative or saving throw. 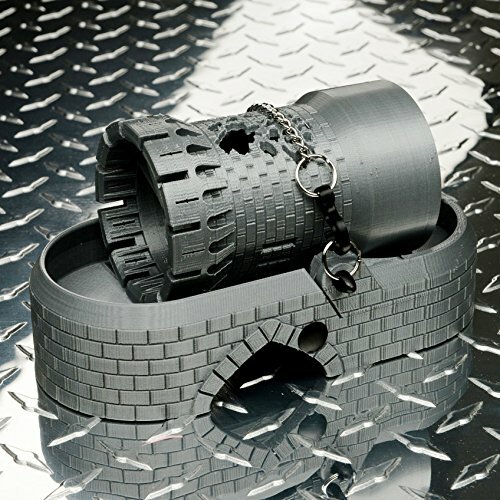 Its accurately modeled architectural features are sure to impress both friend and foe alike at your next game night. Not only is it cool to look at, it’s also useful. 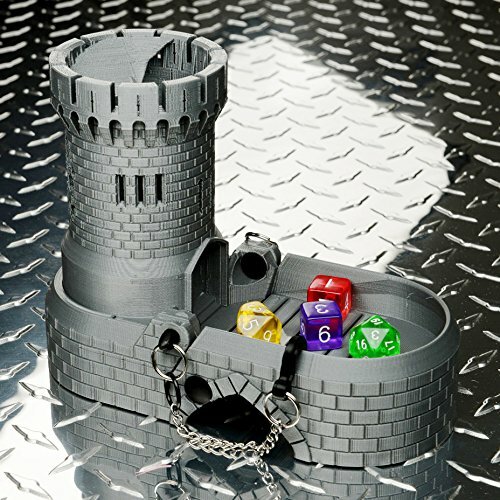 When it’s your turn to roll, just drop your dice into the top of the tower and watch as they tumble down the unique spiral staircase and empty out into the dice tray. 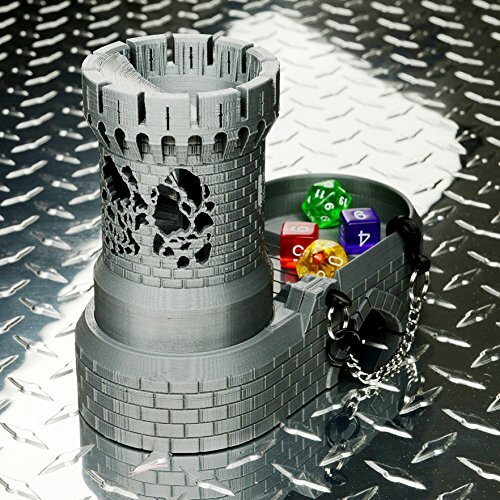 While it’s entertaining to watch them roll down the tower, which is more than enough reason to have one, it also helps ensure that there are no “questionable” rolls where the D20 happens to drop straight down with no bounces and come up with a critical hit (not that you would ever do that). Also, it will prevent a wild throw from bouncing across the table and under the refrigerator as dice tend to do that very thing when you’re rolling to hit for that killer, boss-beating, attack or spell. It also prevents “accidental” re-positions of toppled minis based on the DM’s perfectly unbiased memory if a wild throw happens to knock them over. 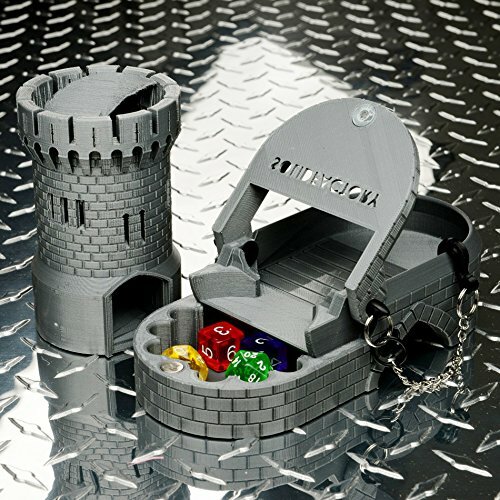 When it’s time to pack up, your dice can be stowed in the integrated storage box and the tower can be secured flat against the tray with the included chain and hook. Dimensions: 7.25″ length x 3.5″ width x 5.5″ height. Spend less time chasing dice across the floor and more time playing. Made using only the finest goblin labor in the nearby kingdom of USA.